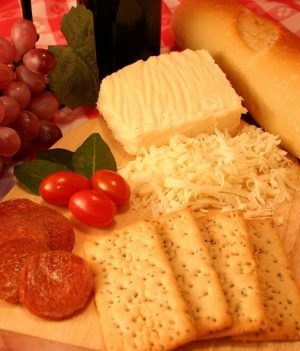 You know that we love to help you get to know all of the cheeses that we have on offer. 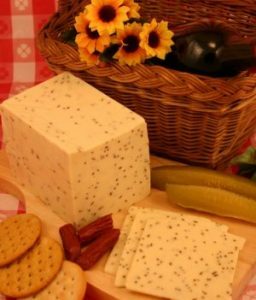 If you always pick up Swiss Cheese then you might not have tried Lacy Swiss, thinking that it’s just a variation. 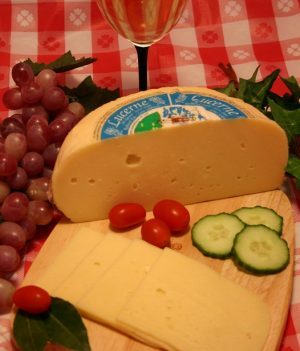 However, it’s a great alternative and a really delicious way to eat cheese with a lower fat and sodium content. Lacy Swiss was invented by Alpine Lace Brands in 1985 in response to the growing need for healthier alternatives. 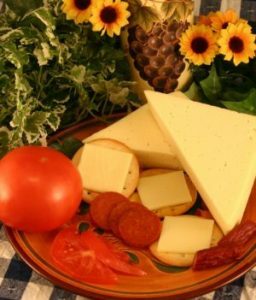 This cheese is closely related to Swiss cheese, but the whole milk used to produce swiss cheese is replaced with low fat milk to provide a healthier alternative with a lower fat content. It gets its name from the lacy appearance of the slices, which usually have a creamy, ivory color to them. It has a delightfully light and nutty flavor. If you follow a lactose-free diet, then this cheese is naturally free of lactose. 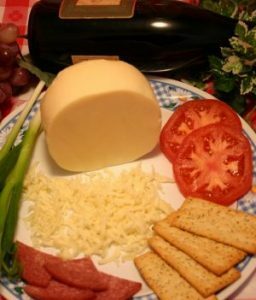 How should I eat Lacy Swiss Cheese? 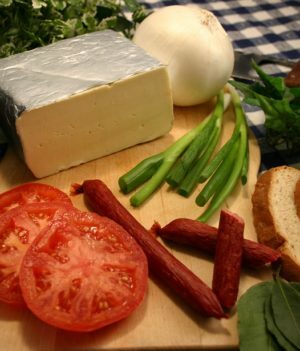 It’s a great table cheese but it is also delicious on deli sandwiches or to top off hamburgers and patty melts. It’s rather light and delicate, so if you’re looking to add a true Swiss flavor to a recipe, our sharper imported varieties like Jarlsberg or Gruyere may be better choices. It melts very well, so it is a good option to use in quiches or pasta dishes when you want to add creaminess without too much fat. We also love it paired with dried fruits and nuts, so it’s a great addition to any cheeseboard, especially if you want to offer a healthier option. Try it with slices of apple or pear for a refreshing afternoon snack. What is Lacy Baby Swiss? We also stock Lacy Baby Swiss. This is another of our local selections. Lacy Baby Swiss is a young, semi-soft cheese distinguishable by its myriad of small holes. 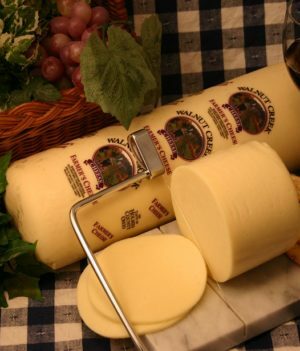 Baby Swiss is made by substituting water for the milk’s whey to slow bacterial action compared to a traditional Swiss Cheese. The Lacy version has smaller holes and a milder flavor, as well as the lower fat and sodium content found in Lacy Swiss. Due to their mild flavor, these cheeses very well with numerous wines. The most popular pairings are Cabernet Sauvignon and Merlot. but Beaujolais and Pinot Noir are also great matches. If you are a white wine lover, then Chardonnay, Riesling, and Sauvignon Blanc would all be good choices. Lacy Swiss even goes well with Lager, Pale Ale, and Weiss Beer. 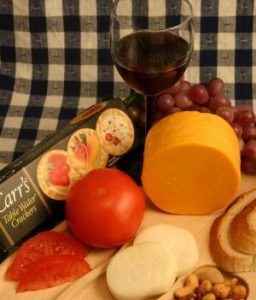 We hope you’ve enjoyed our exploration of these healthy cheeses. 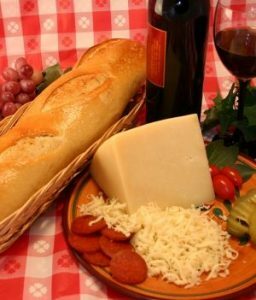 Perhaps you could by a few different Swiss types of cheese and compare them to see which is your favorite. We even offer a Smoked Swiss Cheese if you like a smokey taste on your cheeseboard. Pop into the store if you’re nearby and we’ll help you to choose a great selection. 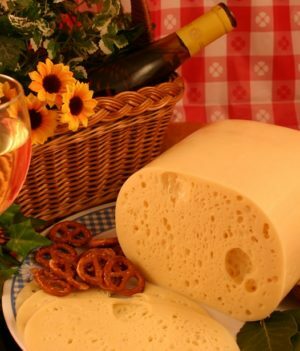 How do you like to enjoy Lacy Swiss cheese? Let us know in the comments!